Ryan McGraw is co-founder of RivCo Wealth Management where he works as a Financial Planner. 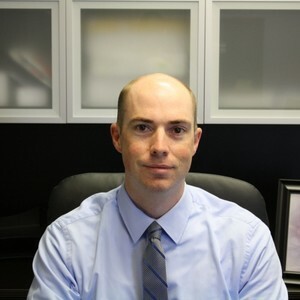 Ryan has over a decade of experience providing financial advice to his clients. He and his partners decided to start their business when they saw the need for a community based financial planning firm. Ryan has strived to build his reputation as a top notch advisor over the last 13 years providing financial advice at local credit unions. Ryan has dedicated himself to creating unique and comprehensive financial plans for his clients by listening to what is important to each individual. Everyone’s economic and life situation is unique, and I keep that in mind when providing financial advice. I believe that personalized service is essential when matching clients with the right financial products and services. As a Financial Planner, I am dedicated to learning about your personal goals. Together we will use them to build a financial plan focused on your specific needs. I understand my clients are in different stages of life: you might be purchasing a first home, financing a child’s post-secondary education or planning for retirement. I believe a financial plan must reflect your personal or business situation, and so I will work to highlight the financial products that best fit your goals. Once your custom-tailored financial plan is in place, we will continue working together to review so that you stay on track, and ensure you are comfortable everything is moving forward according to plan. If you ever have questions about your plan or about specific financial products, I am always available. We will set up a time to meet to review your needs and address any questions you may have.